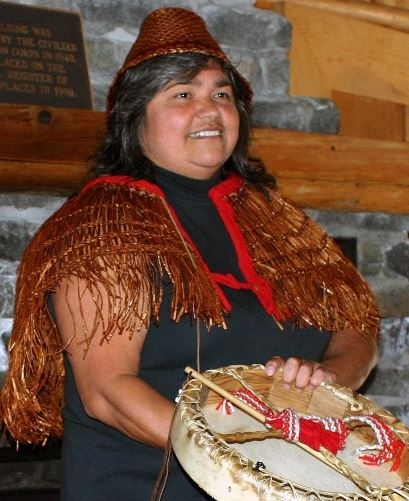 Tammy Cooper-Woodrich—Nooksack storyteller, vocational rehabilitation counselor, former Nooksack Tribal Council member, former Northwest Indian College. The majority are located west of Nugents Corner, just north of Deming. The Nooksack are a federally recognized Native American people in northwestern Washington state in the United States. The tribe lives in the mainland northwest corner of the state near the small town of Deming (in western Whatcom County). They have more than 1,800 enrolled members. However, only a little over 300 claim full Nooksack ancestry. The Nooksack language is extinct and therefore the people are conversant in English. According to the the Nooksack Tribe website, "Our name comes from a place name in our language and translates to “always bracken fern roots,” which illustrates our close ties to our land and the resources that continue to give strength to our people." For more information, see the Nooksack Tribe website. Also see the Nooksack Tribe Communication Facebook page. Pray God will work through and in the lives the Nooksack to grow in their understanding Jesus Christ. Pray evangelical Nooksack will be light to unreached Native Americans and other unreached peoples in North America.